Take your snow adventure to the next level – literally. Travelscene American Express has just released deals to some of the highest mountain ranges in the world including, Japan’s Hokkaido, France’s Savoy, and Switzerland’s Alps. Not only will you be carving up the best slopes in the word, you’ll be staying right in the thick of it at luxurious all-inclusive Club Med. The mecca of winter sport and host to the 1972 Sapporo Olympic Games, the mountains of Hokkaido are legendary. The perfect climate promises plentiful snowfall, with pistes between 3,280 and 1,300 feet. Book by 01 July 2013 and SAVE 30%! Valid for sale to 01 July 2013, unless sold out prior. Valid for travel 01 December 2013 – 07 April 2014. Availability is limited. Sitting at the base of the majestic Matterhorn, Club Med Cervinia has you spoilt for choice. Each morning you’ll awake within easy reach of 500 miles worth of slopes including, Italy’s Valtournenche and Switzerland’s Zermatt. With so many options, you’re guaranteed powder-a-plenty! Book by 01 July 2013 and SAVE 15%! Valid for sale to 01 July 2013, unless sold out prior. Valid for travel 01 December 2013 – 27 April 2014. Availability is limited. A hamlet of French chalets, this beautifully designed resort is perched 1,600 metres high and overlooks the stunning Tarentaise Valley. 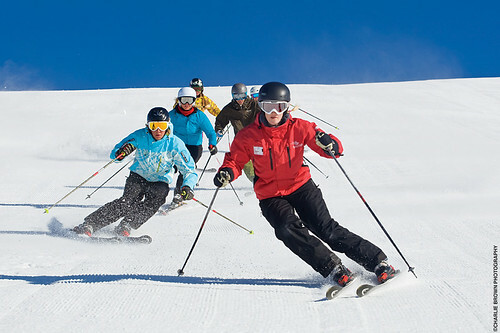 Club Med Peisey-Vallandry is the perfect destination for those seeking a range of activities. With skiing, hiking, bars and spas all on offer, there really is something for everyone. Valid for sale to 01 July 2013, unless sold out prior. Valid for travel 01 December 2013 – 20 April 2014. Availability is limited. Book these deals and more by contacting your nearest Travelscene American Express Member agency on 13 13 98 or www.travelscene.net.au.